Everything You Need to Know to Pack Your Cargo Properly | Blog | Worklink Services Inc. It seems easy enough to place your products in just any large box and declare it fit for shipping. However, proper packaging involves choosing the right materials and arranging your goods securely to ensure that the cargo arrives at its destination with minimal damage, if at all. Take note that the integrity of a delivered good can spell the difference between retaining and losing a customer. To help you cut down on additional costs and keep your consignees happy, here’s a handy guide with everything you need to know to properly pack your cargo. At first, you might wonder why you need to make extra effort to secure your cargo. The receiver will open the cargo and put the packaging aside anyway, right? Remember that your cargo is subject to bumps, vibrations, changes in humidity, and sometimes even an accidental drop on its journey. These all have the potential to damage your cargo, no matter what type of freight service you’ve chosen for the delivery. Do any of the above bullet points sound good for your company? If not, you’ll want to invest in proper packaging. There are several kinds of packaging material available nowadays. No matter what kind of cargo you will be shipping, there is a suitable choice of packaging that can give it the best protection. • Cartons keep loose items together and protect the display packaging of your goods. They also make cargo easier to handle. For more protection, you can fill up the rest of your carton with foam packaging or bubble wrap. • Pallets are a stable type of packaging that can house various items, from boxes to machinery. Just check that the pallet itself is in good condition. When placing goods on a pallet, distribute the weight evenly and try to keep any pieces from hanging over the pallet edges. If possible, make the top surface of your cargo flat. • Crates feature solid walls and sturdy construction to provide full protection to your goods. Professional crating companies can even make crates in different sizes to fit any type of freight. • Shrink wrap stabilizes palletized freight and keeps individual items from being separated and misplaced. It also protects the outer surface from rubbing against other pieces of cargo, which is handy for preserving the appearance of display goods. Finally, a layer of shrink wrap is a good surface to place your labeling. • Bands and straps made of steel or plastic can prevent freight from slipping off a pallet. You can also use them to bundle goods together. Additionally, labels are crucial to provide all important cargo information to handlers, including the delivery address and special instructions (i.e. fragile, perishable, this side up). 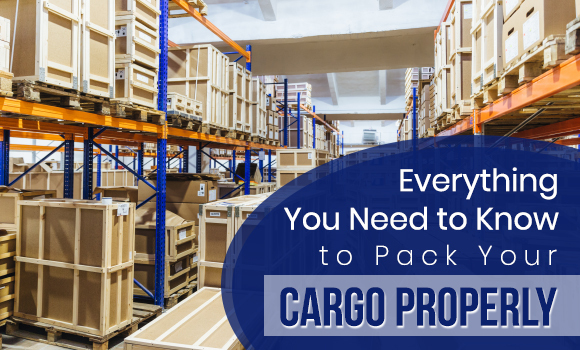 While cargo can be packed in various ways, there are some guidelines worth keeping in mind no matter what you’ll be shipping. 1.Choose Quality Packaging Material. If you decide to reuse old packaging such as a cardboard box, check if the material provides the same protection to your goods. 2. Err on the Safe Side. A sturdy box or crate by itself won’t keep your cargo from bouncing around inside. Use different kinds of packaging material to protect against damage from vibrations, impacts, and crushing weight. Also, don’t fill your crate or box to the point that the goods are flat against the side walls. Leave space between the cargo and the packaging material, and fill that space with plenty of cushioning. 3. Label Properly. Make sure that your labeling is readable and visible! If your cargo is fragile, you may opt to include a picture of the goods on the label. Be sure to remove or properly cover all old labels on reused packaging material as well. 4. Pack in Squares. A piece of cargo that sticks out from the rest of your shipment is the piece with the highest risk of getting damaged, more often than not. Pack properly to keep all your goods well-protected. Well-packed goods can indicate that your company is willing to go the extra mile for its customers. 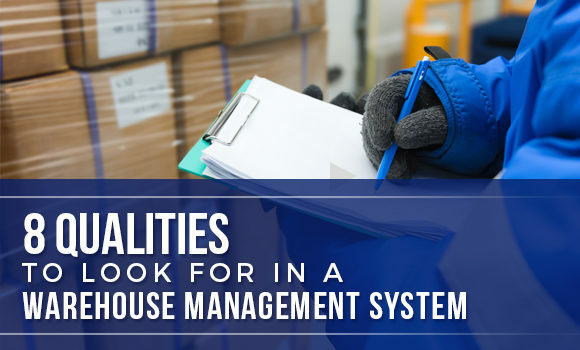 Keep this guide with you the next time you need to pack cargo, and you’ll be on your way to securely completing deliveries that can ultimately boost your company’s reputation. Better yet, allow us to help you prepare your cargo with our crating and packing services in the hands of professionals. 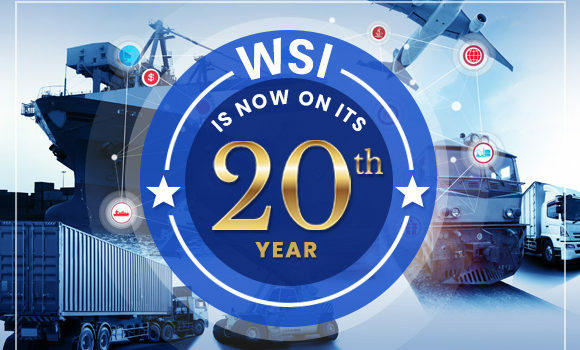 Worklink Services, Inc. has provided dependable transportation solutions since 1999, placing our customers at the heart of our services while delivering their cargo safely and on time. Our inclusion among the 15 most reliable B2B courier companies in the Philippines gives you an idea of how safe your cargo will be in our hands. Consult our experts at Worklink today! Was this post informative? 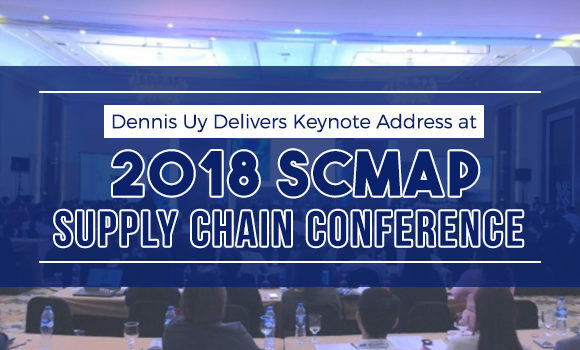 Find more helpful articles and updates from the logistics industry by visiting our blog.